Analogue synthesizer enthusiasts in Toronto might be grumbling about the fact that they’re not in Asheville, North Carolina for Moogfest 2014 right about now, given the daily barrage of events and announcements including a new semi-modular Moog, a new Keith Emerson modular system, and the theatrical premiere of the modular documentary I Dream of Wires. 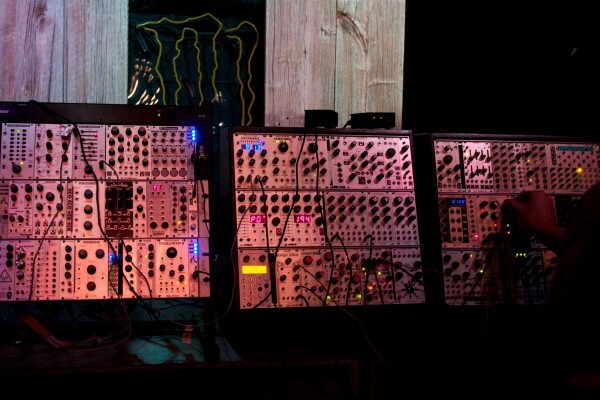 Thankfully there has also been some wired action north of the border lately, with the first of what we hope to be many Modular Synthesizer Information Sessions gracing the stage of west end self-styled dive bar and concert venue Wrongbar on April 4th. 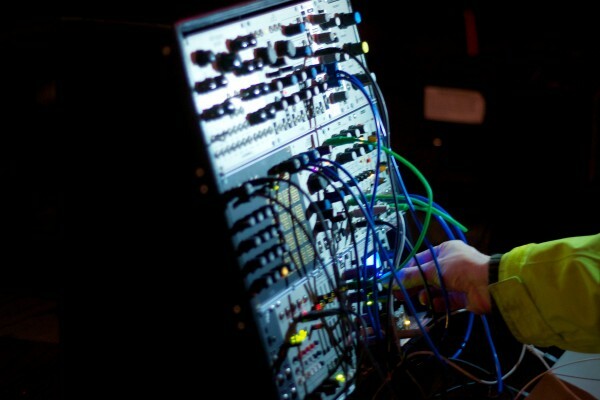 Hosted by local producer/engineer/composer/maker Nyles Miszczyk, the event began with a deep dive into modular theory with Q&A session before splintering off into spontaneous performance sets by local Eurorack enthusiasts. Miszczyk promised further sessions in the near future with special guest manufacturers and performances, dates and locations TBD. 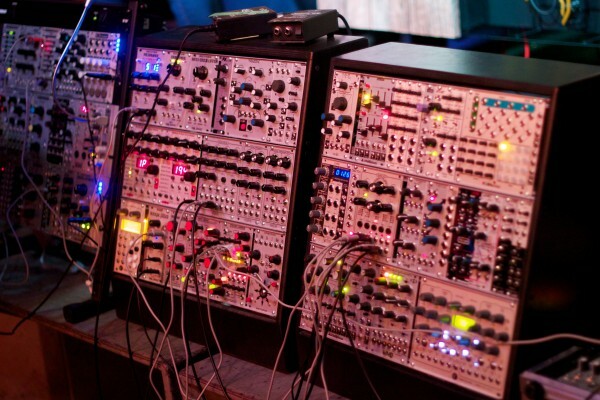 If you like drooling over thousands of dollars of blinky synth gear while drinking hipster beer and debating the comparative merits of 2-pole and 4-pole filters as much as I do, you’ll want to keep your ears peeled for the next event announcement. The Microbrute is very well regarded, from my experience, at least at Moog Audio, and that’s their floor model on display there. In fact, I bought a very small piece of it yesterday.